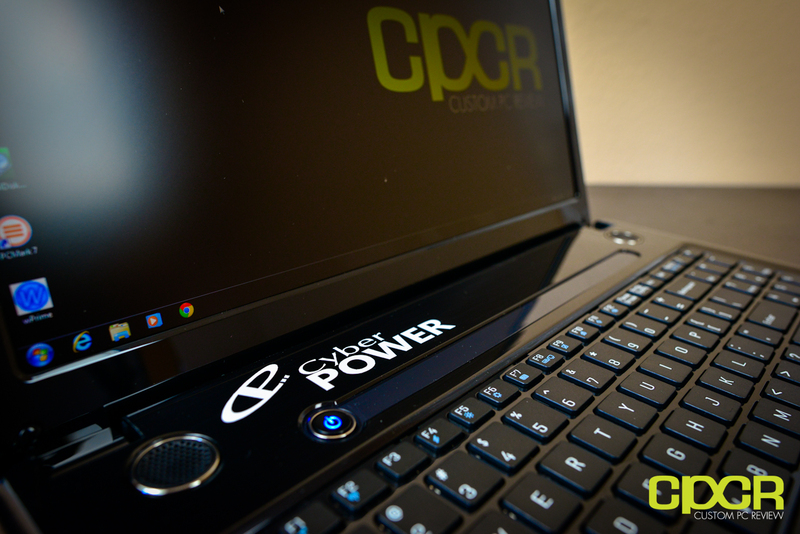 For those unfamiliar with CyberPowerPC, they are actually a fairly large and reputable company well known for producing custom built desktop PCs and notebooks. Now unlike going with computers from most big box manufacturers, the benefits of going with a company like CyberPowerPC is that you get a lot of choice in terms of what kind of components will go into the final product. This is important because customers are able to do their own research on parts going into the system and replacing or upgrading those parts in the future will be fairly easy. 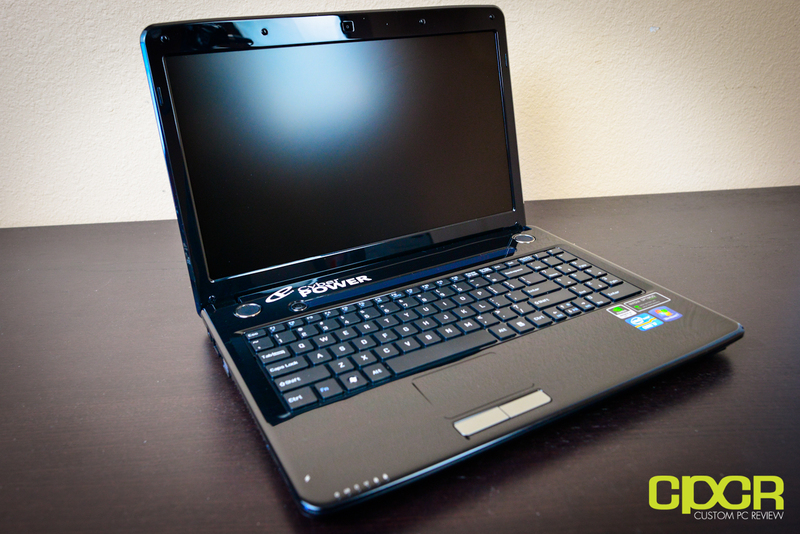 Today, we’ll be reviewing the new budget oriented CyberPowerPC Xplorer X6-9120 15.6″ gaming notebook. 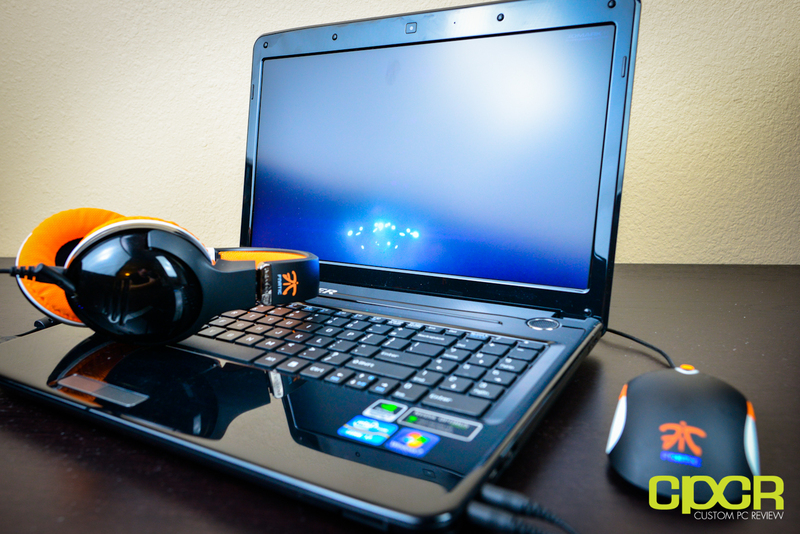 The Xplorer X6-9120 is actually what enthusiasts typically call a “whitebook”. In short, whitebooks are basically barebones notebooks produced by large notebook manufacturers to be sold to resellers, OEMs, etc. so that they may be rebranded, configured and then sold to end users. The specific whitebook we have today is the Pegatron A15FD. One thing to note is that you shouldn’t confuse a whitebook with being lower quality, as the same notebook manufacturers who produce these whitebooks generally also produce notebooks for the big box manufacturers (Dell, HP, etc.) as well. In addition to the standard features, the CyberPowerPC Xplorer X6-9120 configuration we’re taking a look at today will come with the Intel Core i7 3610QM, 8GB of GSkill DDR3 1333MHz memory, a GeForce GT 640M 2GB discrete graphics card, and a 120GB OCZ Agility 3 SSD. Full specifications below. 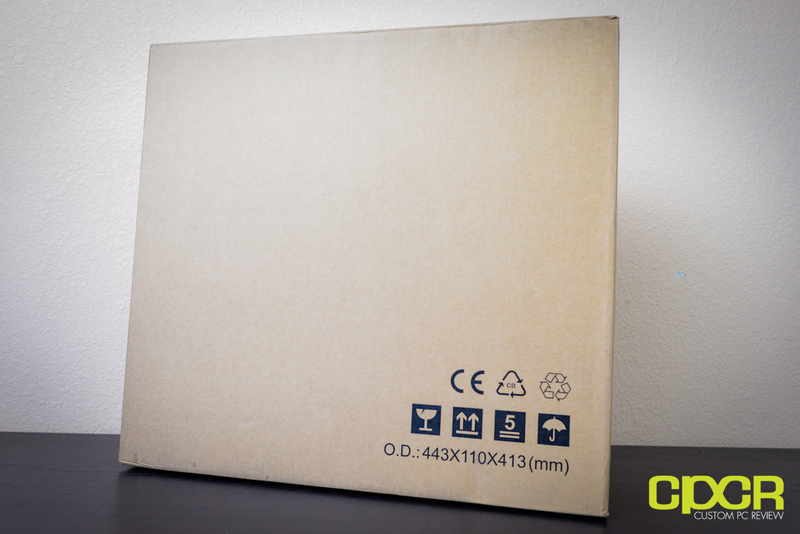 In terms of packaging, CyberPowerPC hasn’t really gone all out here. 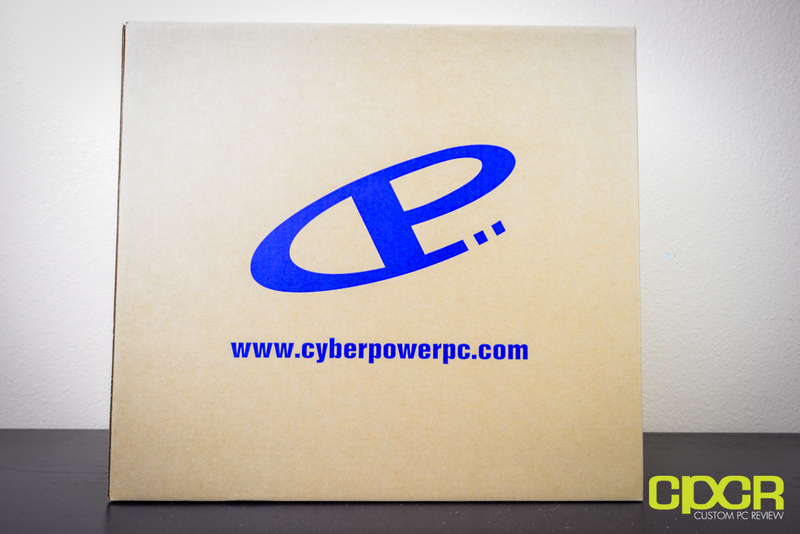 Inside a larger CyberPowerPC branded box (not shown), you simply get a plain brown box (left) which holds another plain brown box with a CyberPowerPC logo (right) which holds the laptop and all of the accessories to go with it. 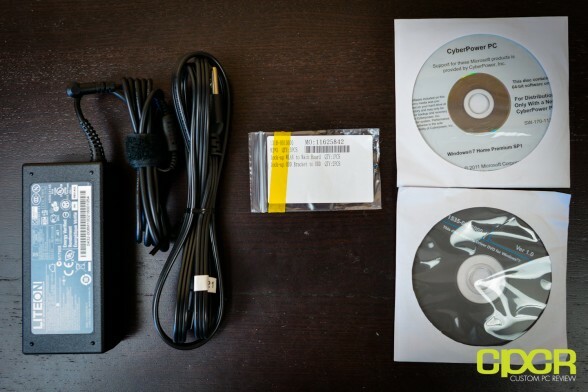 Other than the laptop, the box also comes with a power brick, some mounting screws (most likely replacement screws), a power cord, a driver CD, and a Windows 7 installation disk. Whereas most manufacturers nowadays require you to request a new OS installation disk through their service center, it’s nice to see that CyberPowerPC is still including the re-installation disk in case of HDD/SSD upgrades or emergency OS re-installs. 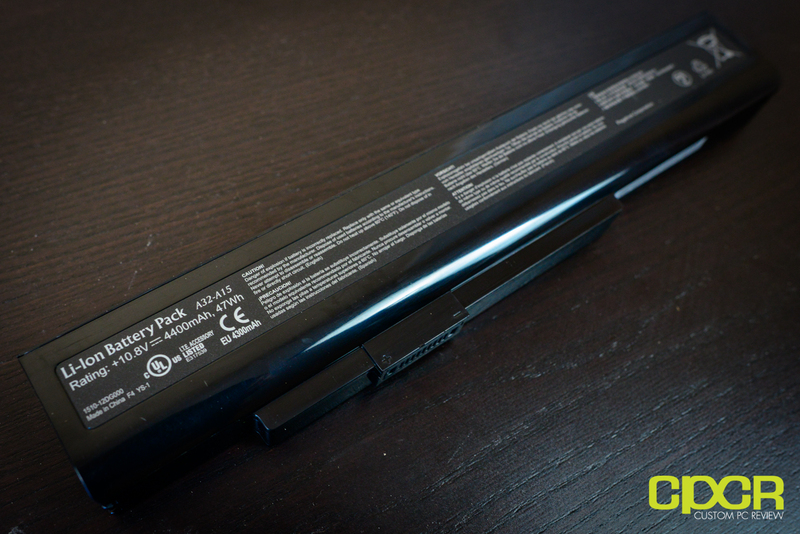 Mounted on the laptop is a 6 cell, 4400mAh, 47Wh Lithium ion battery. According to the specifications, a single charge should last around 5 hours. Of course, it would greatly depend on how the laptop is used. 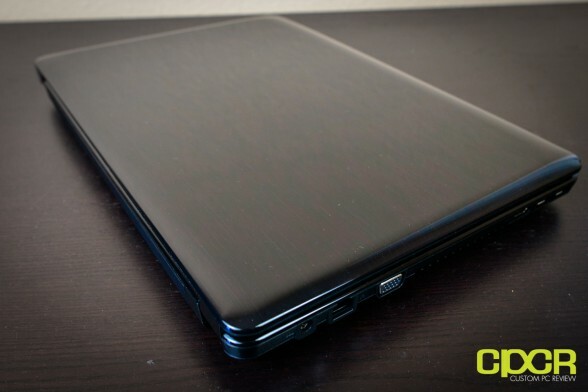 Taking a first look at the laptop itself, we notice that the top of the laptop is constructed of a glossy plastic finish. This is actually quite nice if you have time to constantly clean it, but the glossy finish will be extremely vulnerable to fingerprints and dust. The rest of the laptop is constructed of plastic. It doesn’t seem like the most durable plastic in the world (more than likely to save on weight), but it should hold up fine for those who take care of their electronic equipment. With the lid open we get the user interface area. Like the top of the unit, the entire inside of the unit is constructed of the same glossy plastic material, so lots of maintenance is required if you like your laptop looking like new. 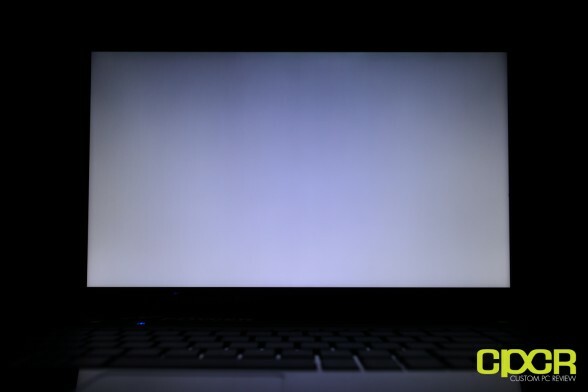 One thing you’ll notice is that CyberPowerPC has opted to include a matte screen instead of a glossy screen with the X6-9120. Personally, I’m a big fan of matte screens as they don’t reflect light, which makes it much easier to see when working in a brightly lit room. Another thing you’ll notice is that the keyboard included with the X6-9120 is a full sized, US layout keyboard with the long enter key, long shift keys, and long backspace key. This is great for those who type a lot with their laptops and are most familiar with the US layout. Like most other laptops though, the keys are mushy and the compact sized ten key on the right is squished to make room for the rest of the keyboard. The touchpad is fairly standard. It’s not amazing, but it gets the job done. The buttons below are nice and give excellent tactile response when clicked, which is good. As mentioned earlier, the palm rest is composed of the same glossy plastic used practically everywhere else. Expect massive amounts of smudges here, so clean frequently is all I can say. On the bottom right palm rest is a bunch of stickers showcasing the laptop’s key features. 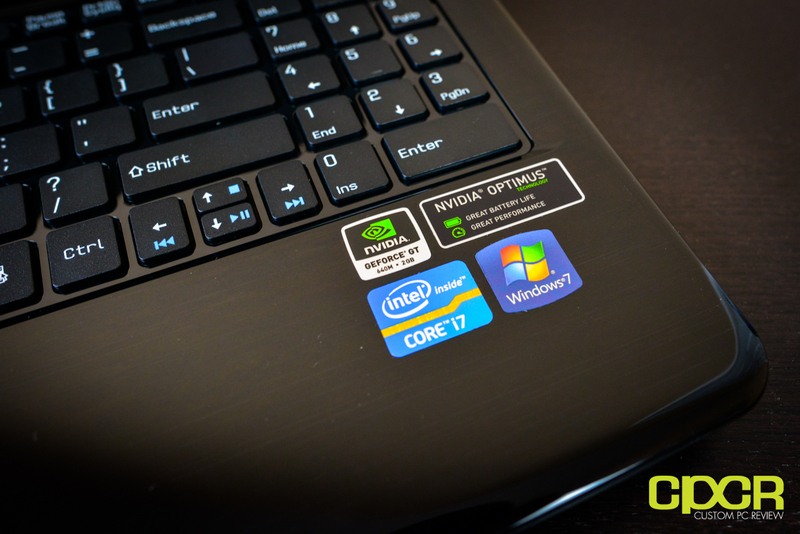 Note the Nvidia Optimus technology, which allows seamless switching between the integrated CPU graphics and the Nvidia GT640m mobile GPU. This allows massive power savings despite the laptop carrying a discrete GPU. The LED indicator lights are located at the bottom left corner of the laptop. Like the power button, they glow blue as well. Taking a look at the I/O options here, the left side has the power jack, a RJ-45 LAN connector, a VGA connector, a HDMI connector, and two USB 3.0 ports. From the front, under the right side palm rest area is a 3 in 1 card reader with a dummy card included. Taking a look at the right side of the laptop, we get the 3.5mm headphone/microphone ports, two USB 2.0 ports, the optical drive, and a Kensington lock port. The entire bottom of the laptop is composed of sturdy plastic, which is quite similar to what we find on most laptops these days. 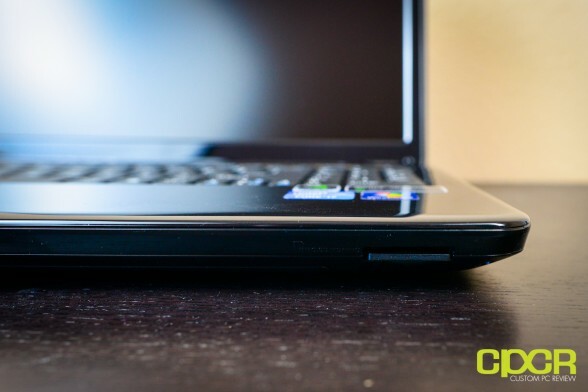 There are 4 rubber feet on each corner to prevent the laptop from slipping. 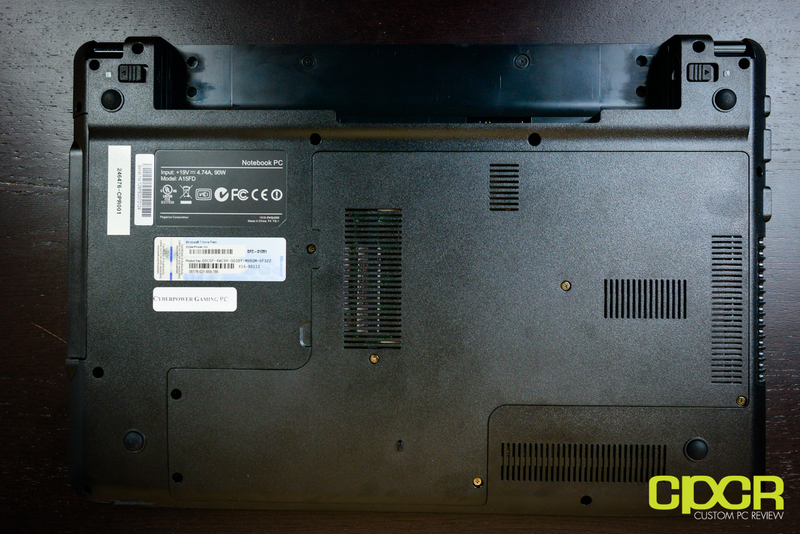 Vents are placed strategically above areas that need cooling the most (CPU, GPU, etc). Since this is a fairly large whitebook, you get very easy access to all of the important internals with minimal effort. Simply unscrew four screws, pop off the back cover, and everything is practically in plain view. Remove a couple more screws from the 2.5″ drive bracket and the 2.5″ drive may be removed. Remove another screw and you can get the optical drive out as well. Our model came with 8GB of GSkill F3-10600CL9s-4GBSQ DDR3 ram rated at 1333MHz. Below the RAM sticks, you also get an Intel Wireless/Bluetooth combo adapter. In order to save space, the laptop made due with just one fan as opposed to two. 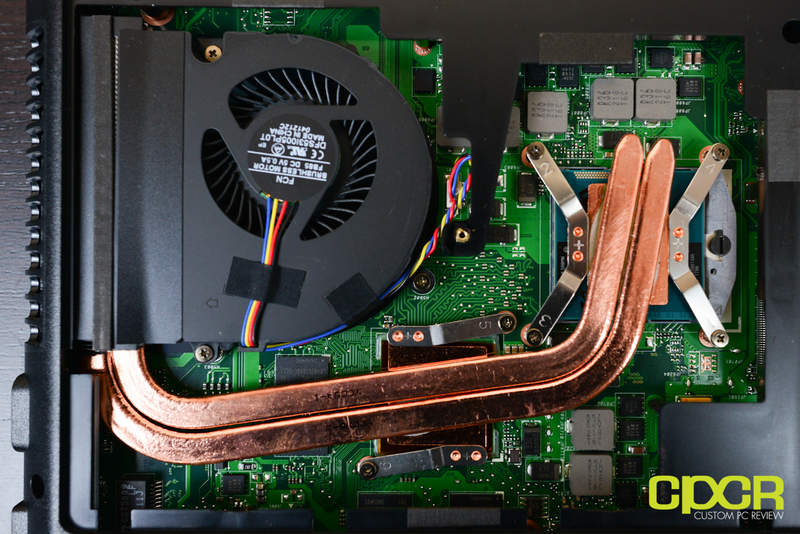 In order to maximize heat transfer to cool the GT640m and the i7-3610QM, there are two heatpipes instead of one. The cooling assembly may be removed for processor upgrades, but it doesn’t seem like there’s any room for graphics upgrades here. 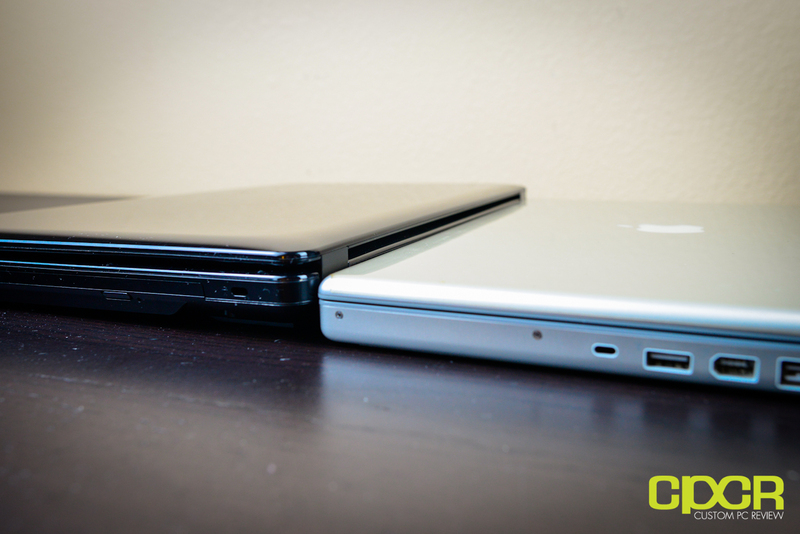 The optical drive is easily removable and can be replaced with different optical drives. Included, we get a standard DVD/CD RW drive. 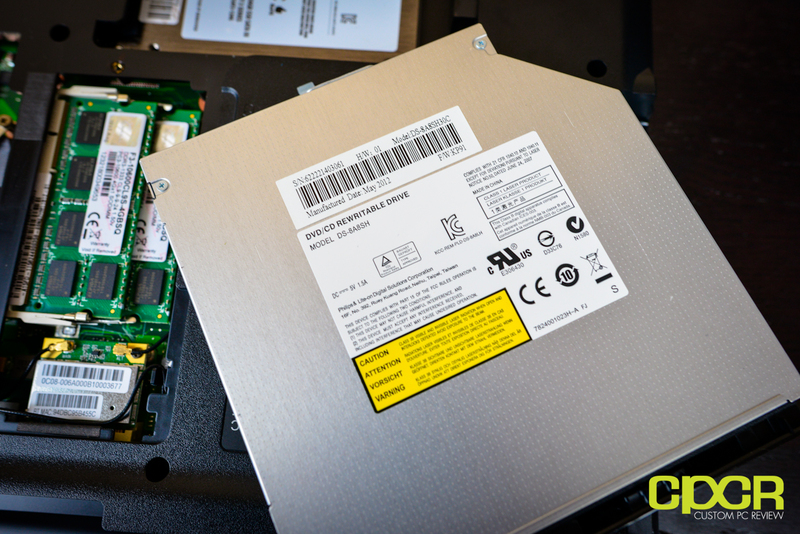 Our configuration included a 120GB OCZ Agility 3 in the 2.5mm hard drive cage. It’s a lower end asynchronous NAND SSD, but it’s still a SSD and will produce far superior 4k read/writes than any mechanical hard drive on the market. Above is the CPU/motherboard/memory configuration. As mentioned previously, we’ve got an Intel Core i7 3610QM capable of turboing up to 3.3GHz, a Pegatron A15 motherboard, and 8GB of GSkill 1333MHz CAS 9 memory. Initial bootup was fairly quick due to the SSD, and the Windows 7 OS is installed, pre-configured, and ready to go. One thing I noticed right off the bat with the laptop is that CyberPowerPC hasn’t included any bloatware to speak of. Nice. 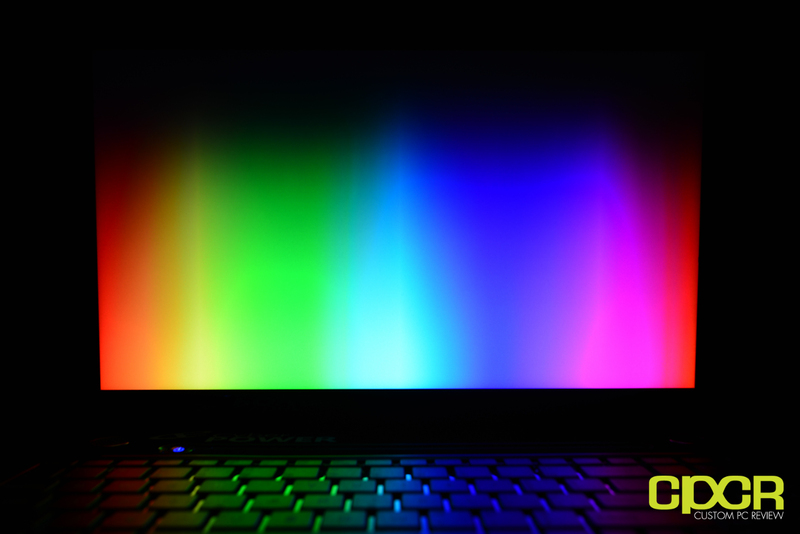 In the graphics department, we’ve got both the Intel HD 4000 graphics running alongside the Nvidia GeForce GT 640M through Nvidia’s Optimus technology. This allows 100% seamless switching between integrated and discrete graphics for maximum power efficiency. 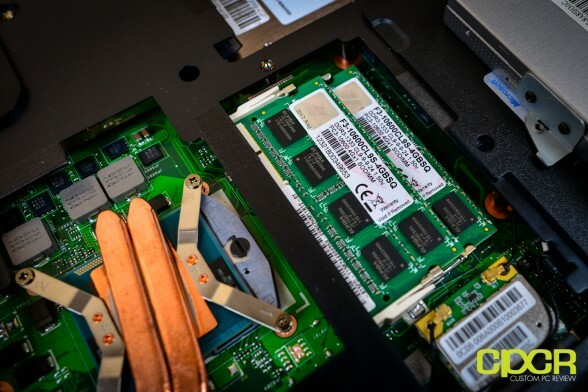 What’s interesting about the GT 640M is that while some 600M series graphics solutions are simply rebranded 500M series graphics cards, the core of the GT 640M is the GK107, which is based off Nvidia’s new 28nm Kepler graphics technology used in the GeForce 600 series desktop graphics cards. Today, we’ll be running a number of benchmarks on the CyberPowerPC Xplorer X6-9120 for performance testing. 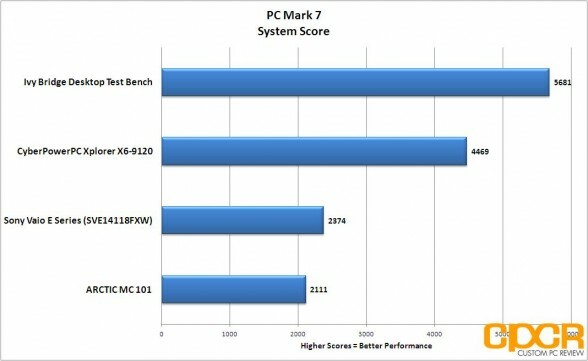 Now, I typically review desktop hardware so for reference, I’ve included numbers for a reference Ivy Bridge test system running off the integrated graphics. 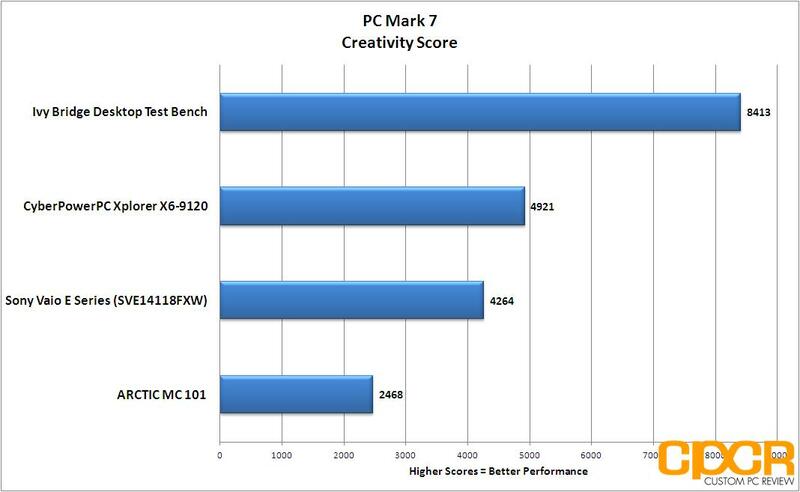 This will give us an idea of what type of CPU performance can be expected from the laptop as the i5 3570K is a fairly common processor. 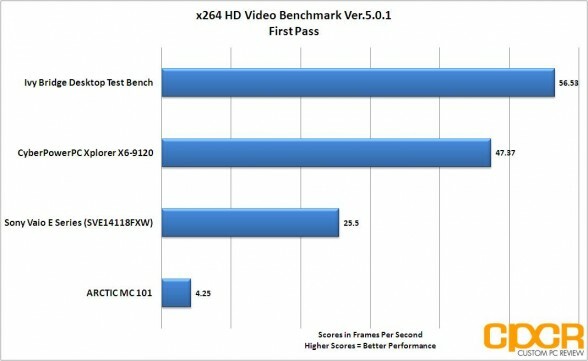 In addition, I’ve also included benchmarks from an older generation Sony Vaio E Series laptop (SVE14118FXW) as well as the mobile Trinity powered ARCTIC MC101 HTPC for reference as well. 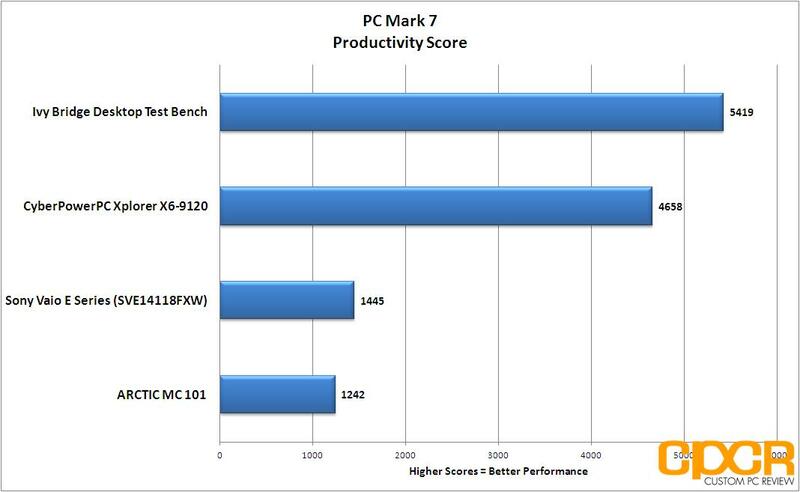 PC Mark 7 is a full system benchmark designed to test real world system performance. Because of the Xplorer X6-9120’s combination of the i7-3610QM, GT640, and the OCZ Agility 3, it was easily able to outpace the MC101 and the Sony Vaio E series laptop. Of course, the main reason for this is the fact that our configuration includes an OCZ Agility 3 SSD, which is heavily favored by the PC Mark 7 benchmark. 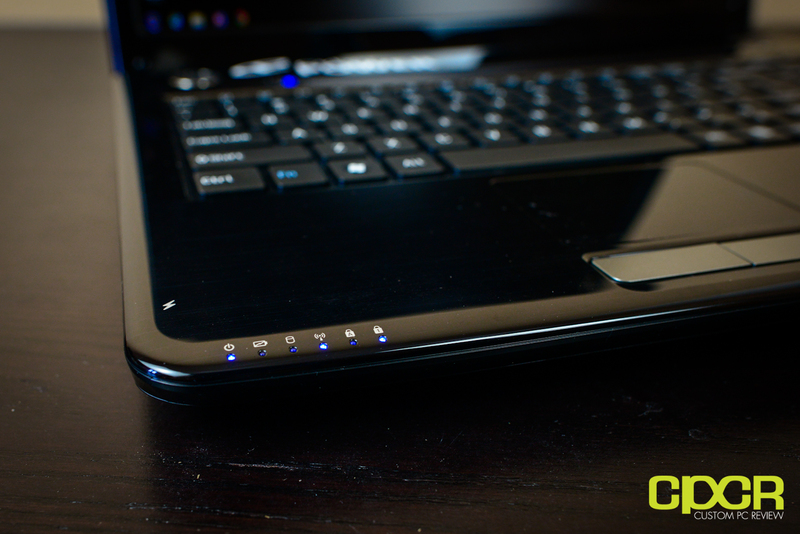 The lowest tier Intel Core i7 mobile CPU currently offered with the Xplorer X6-9120 is the Intel Core i7 3610QM. While it’s the lowest tier i7 mobile CPU offered, it’s no slouch featuring hyper-threading as well as the capability of turboing up to 3.3GHz. This should put it within reach of even the desktop based i5 3570K especially in multi-threaded applications. 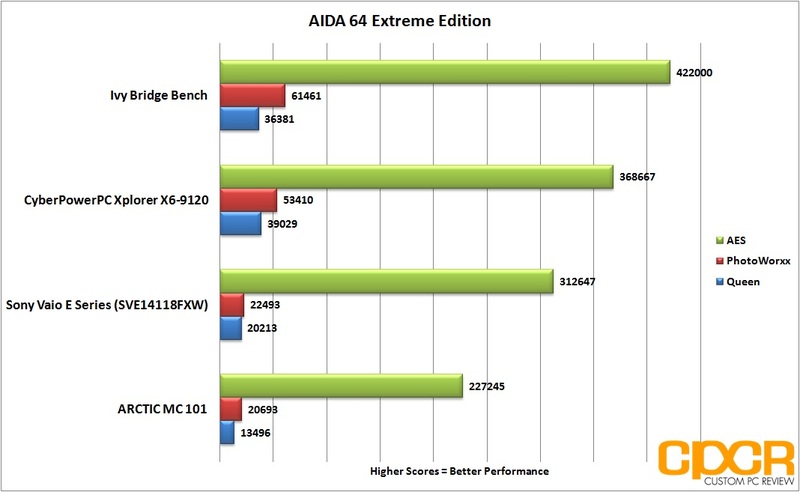 In terms of single threaded performance, we can see here that the i7 3610QM manages to be quite fast, beating the i5 2450M found on the Sony Vaio E series and significantly defeating the A10-4600M found on the ARCTIC MC 101. 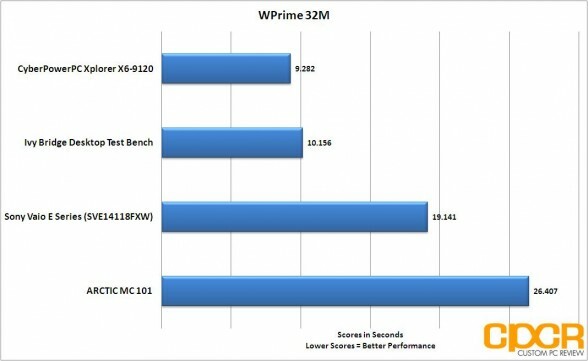 As expected, the hyper-threaded i7 3610QM was able to dominate the charts in WPrime, even scoring slightly higher than the desktop based i5 3570K. In the first pass, the Xplorer X6-9120 managed to beat out the rest of its competitors by a fairly wide margin, lagging only behind the i5 3570K in our Ivy Bridge desktop test bench. To our surprise however, in the second pass the ARCTIC MC101’s AMD A10-4600m Trinity APU somehow managed to crush all of its Intel based competitors. 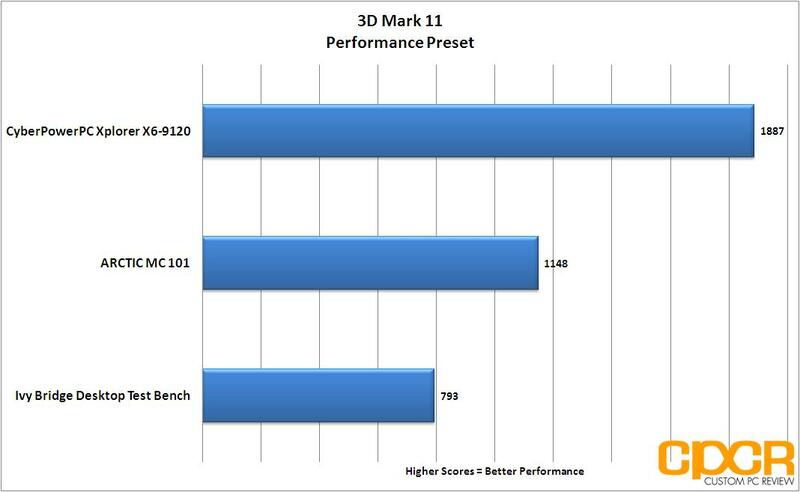 I ran this benchmark several times to ensure its accuracy and sure enough, the results were all consistent. It seems like there’s some sort of optimization in the second pass, which heavily favors the A10-4600M. Same story in AIDA 64 for the most part. 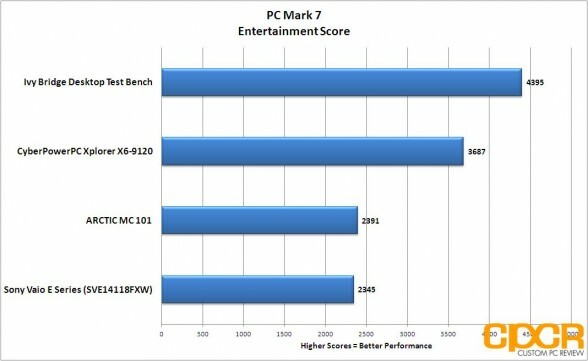 The i7 3610QM slightly lags behind the i5 3570K with the i5 2450M and the A10-4600M following behind. 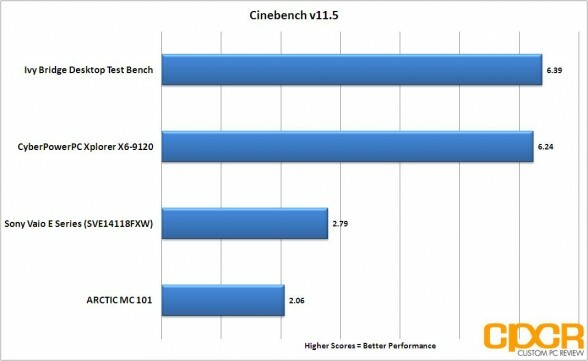 In Cinebench 11.5, the quad core i7-3610QM in the Xplorer X6-9120 again performed so well that it’s nearly on par with the i5-3770K Ivy Bridge desktop CPU. This was expected as Cinebench is multi-threaded. Those interested in purchasing this notebook to encode 3D graphics or video will find the mobile i7 3610QM an excellent processor which can provide tons of performance for the price. 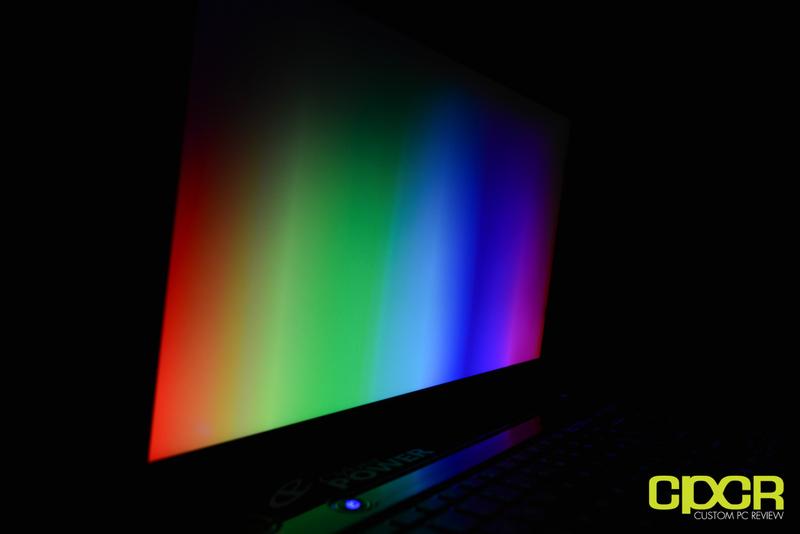 The only GPU option possible on the Xplorer X6-9120 is the Nvidia GeForce GT 640M 2GB graphics card, which is a discrete graphics card based off Nvidia’s new 28nm Kepler architecture (GK107). 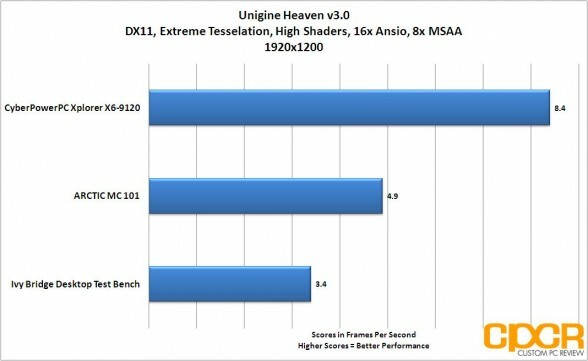 Since we didn’t have any mobile GPUs for reference, we’ll be using the integrated graphics solutions of the Ivy Bridge HD 4000 graphics along with the A10-4600M APU’s Radeon HD 7660G graphics for reference. For better comparison purposes, the Xplorer X6-9120 was connected to a 27″ Hanns-G monitor running at a resolution of 1920 x 1200; however, be aware that the maximum resolution of the 15.6″ display included is 1920 x 1080. All graphics testing is done with the laptop set to “high performance” mode and the AC adapter plugged in. During testing, I did run into an issue that I believe is due to Nvidia Optimus switching. When going from 3D graphics to 2D graphics and vice versa, the screen would go blank despite everything else running perfectly fine in the background. This occurred both when running on an external display as well as the integrated display. 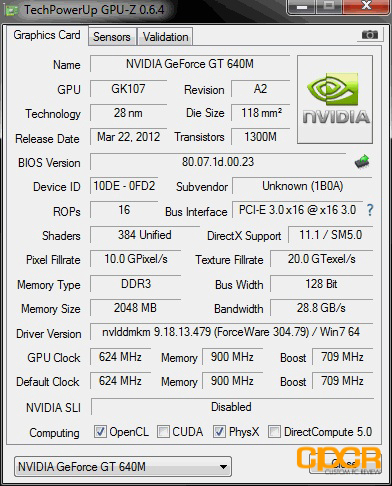 However, this was easily resolved through a driver update to Nvidia’s latest beta drivers. Kicking off benchmarking with 3D Mark 11, it’s quite clear that the discrete GT640M graphics is significantly more powerful than any integrated graphics solution tested today. In the Heaven benchmark, we see more of the same thing. 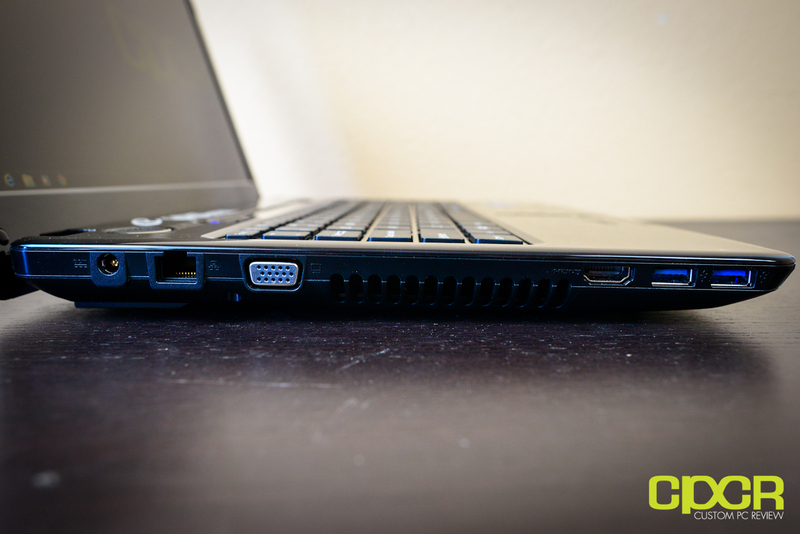 The GT 640M is able to dominate the integrated graphics solutions from both AMD and Intel. Lost Planet 2 is a game developed by game developers Square Enix. While it’s not the newest game in town, it’s a good representation of what kind of graphics performance can be expected from older games. Despite Lost Planet 2 being an older game, it still requires some serious graphics power to run as the GT 640M is still having difficulty averaging over 30FPS at 1680 x 1050 on medium settings. For the rest of our graphics testing, I ran a couple of today’s most popular games to see what kind of performance can be expected. As you can see above, Diablo 3 is the most playable game with the GT 640M pushing well over 30FPS at 1920×1200 with the maximum settings enabled. Batttlefield 3 was passable with medium settings at 1680×1050, which ran at 31.75FPS, but I would definitely recommend lowering the settings even further especially for those who play online as the minimum FPS dropped to 12FPS during a heavy gunfight. 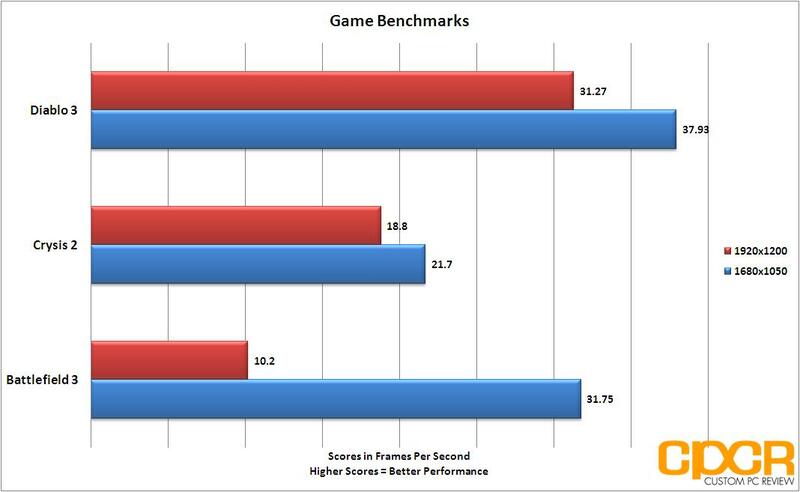 Crysis 2 on the other hand was not passable at both 1920 x 1080 (high settings) or 1680 x 1050 (medium settings). Disk performance was good as expected. 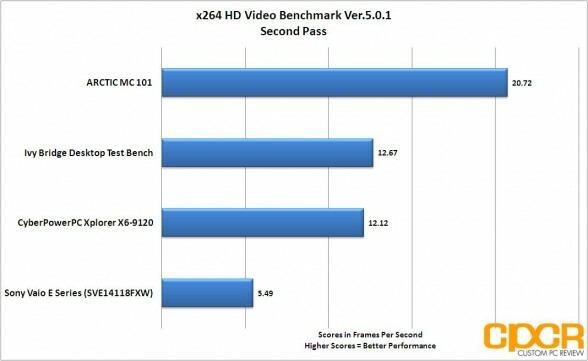 The OCZ Agility 3 SSD definitely isn’t the fastest SSD out there, but it is an SSD and is able to push very respectable 4K numbers, which will make OS, application, game, etc. loading feel very snappy. 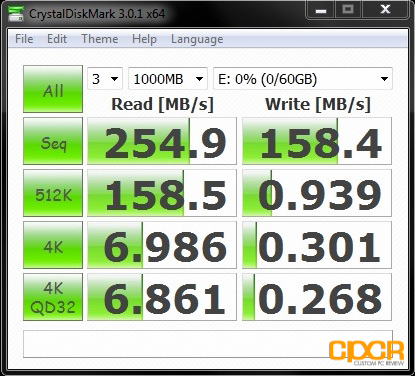 For USB 3.0 performance testing, I plugged in the Kingston HyperX 64GB USB 3.0 flash drive and did a Cystal Disk Mark run. 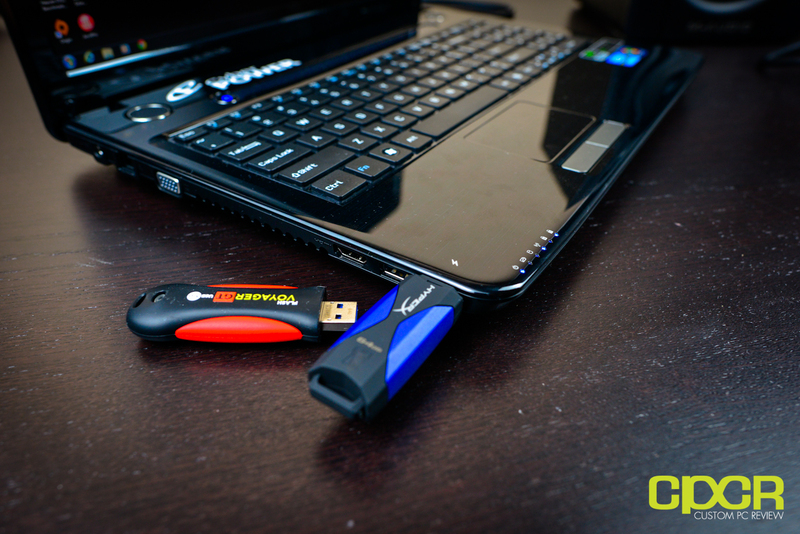 As seen above, performance through USB 3.0 is excellent, maxing out the capabilities of the flash drive. Here we’ll be testing the maximum power consumption of each of the test systems shown below. In order to draw the maximum amount of power possible, both Prime95 and Furmark are run simultaneously and the final results are taken. 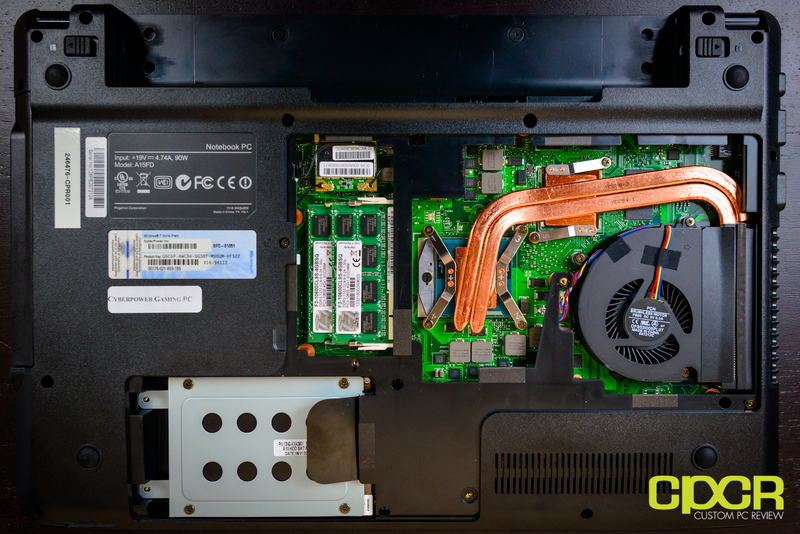 For laptops, the battery is removed and the system is set to “high performance” mode for a more accurate reading of power consumption. 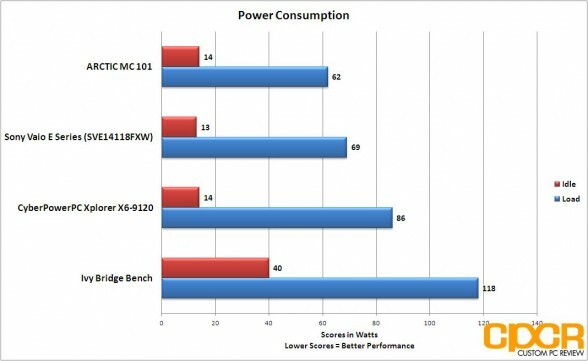 In terms of power consumption, we immediately notice that there isn’t much difference in idle power draw between the three mobile CPUs as they only draw between 13 and 14w idle. 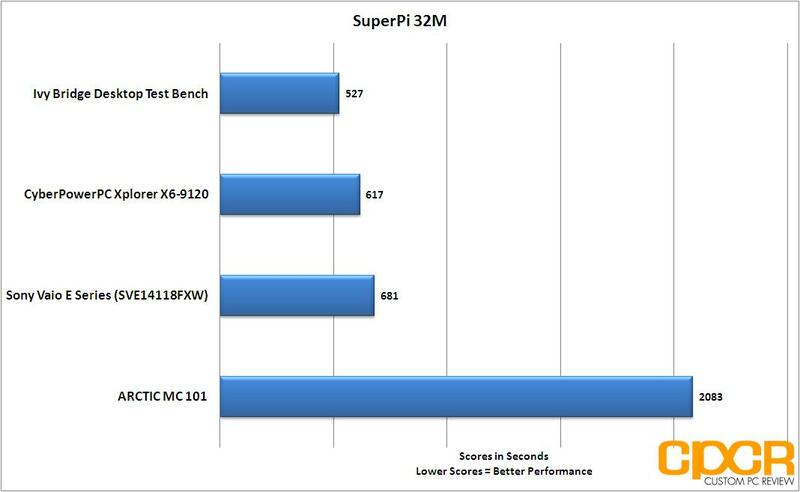 Under load, the i7 3610QM on the Xplorer X6-9120 spikes up to 86w power draw, no doubt due to its discrete graphics chip. 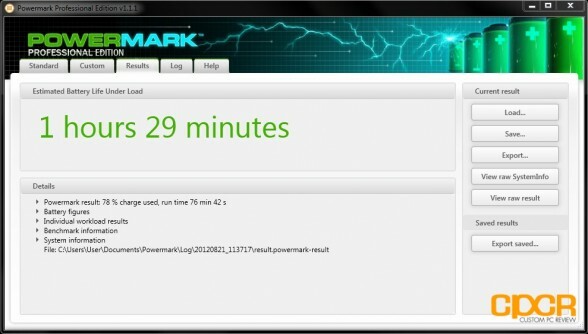 Powermark is a benchmark utility developed by developers behind both 3D Mark as well as PC Mark. This benchmark is designed to test real world battery life in a variety of situations such as web browsing or gaming. For our testing today, the system power setting is set to “balanced”, the screen is set to the medium brightness setting, and the wireless is switched on. The balanced test uses an even split between the web browsing, word processing, video and gaming workloads. The entertainment test includes the video and gaming workloads, simulating a typical recreational use scenario. 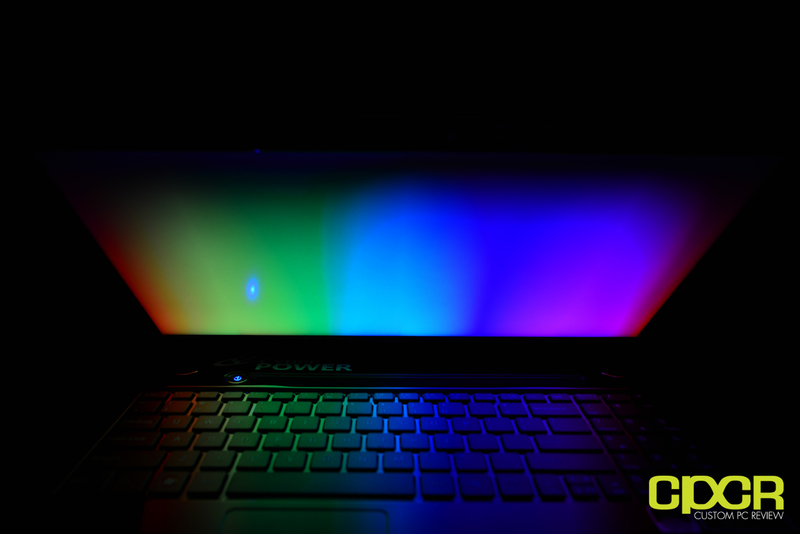 In terms of battery life, the Xplorer X6-9120 definitely isn’t going to be a record breaker as it’s ultimately a fairly high powered 15″ laptop, but it is capable of breaking the 3 hour mark during general web usage, which should be more than enough for typical meetings and lectures. While this is a stark contrast in comparison to the 5 hour battery life claim by CyberPowerPC, testing conducted today was with the brightness setting at medium, power settings at “balanced”, and the wireless on. That said, I was a bit disappointed that the laptop is only capable of around 1 hour and 29 minutes during heavier load (such as HD video playback) as a typical movie is around 2 hours long. Those planning to watch an HD movie should definitely turn the screen brightness down, turn off wireless, and set the power settings to “power saver” mode. For temperature testing, I loaded up both Prime 95 and Furmark for a total of 30 minutes to create the maximum amount of heat possible. Considering this type of stress probably would never happen during typical use, temperatures were still acceptable overall as the CPU is kept under 90°C while the GPU is slightly over 90°C at 93°C. 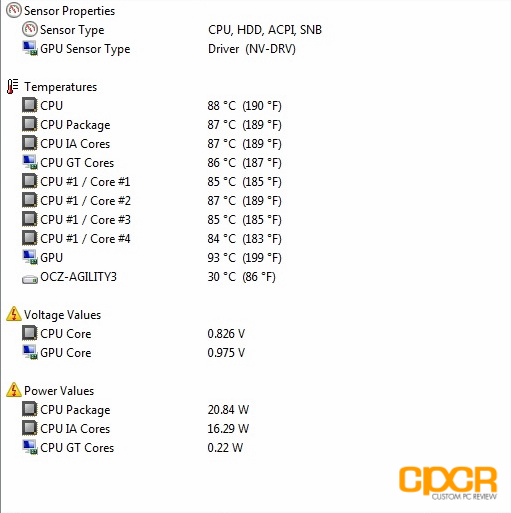 While this is something to be concerned about with desktop CPUs, notebook CPUs and GPUs tend to run hot, so temperatures in the low 90’s and upper 80’s should be fine. As this is a gaming notebook, I would definitely recommend using it in a well ventilated area, especially during intense gaming. The screen included on the Xplorer X6-9120 is the LG Phillips LP156WF1, which is a popular 15.6″ LED backlit LCD used on a variety of popular notebooks. It’s a TN panel, but in my testing I found the panel to be quite good overall. I didn’t see much backlight bleeding with the panel. The entire panel was very evenly lit with only small traces of backlight bleed from the edges. With the LCD’s colors, I was again quite impressed as the display did a fantastic job bringing out strong, vibrant colors throughout the panel. Colors seemed accurate and the screen was quite bright at the maximum setting. 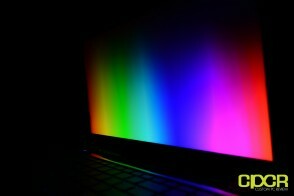 Additionally, the screen is also a matte finish, so it’ll be very easy to use in brightly lit rooms. Horizontal viewing angles on the display were excellent with minimal washing out when viewed from either side. Vertical viewing angles however, were quite bad with even a small shift in angle creating a large amount of washing out on screen. Ultimately, this is a TN panel and not a IPS panel and the vertical viewing angles are a good reminder of that. 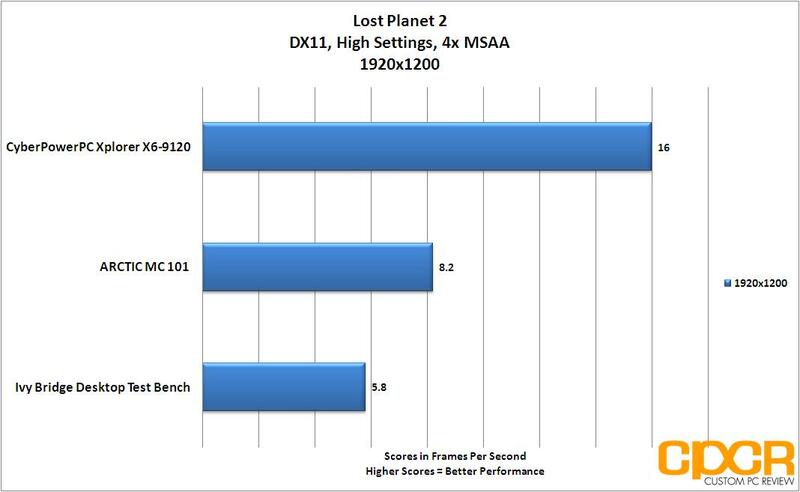 So with all the testing out of the way, let’s talk a little about the performance of the Xplorer X6-9120. Overall graphics performance was acceptable for those casual gamers out there looking to play some older or less graphically intensive games. I had some excellent framerates when running Diablo 3, and at lower graphics settings, even more graphically intensive games such as Battlefield 3 were able to run at acceptable framerates. The GeForce GT 640M was far superior when compared to any integrated graphics solution out there, but does ultimately fall short for those looking to play the newest, most graphically intensive games at max settings at 1080P. CPU performance on the other hand was quite superior, especially in multi-threaded tasks as it was neck and neck when compared to our stock desktop Ivy Bridge i5 3570K processor in the multi-threaded benchmarks. While this might not mean much for those only interested in playing the latest games as most games are much more GPU intensive than CPU intensive, it’s definitely a great processor for those looking to do some CPU intensive tasks such as video editing, photo editing, etc. on the go. As far as aesthetics, the Xplorer X6-9120 definitely isn’t the best laptop I’ve seen to date, but it’s not ugly by any means. 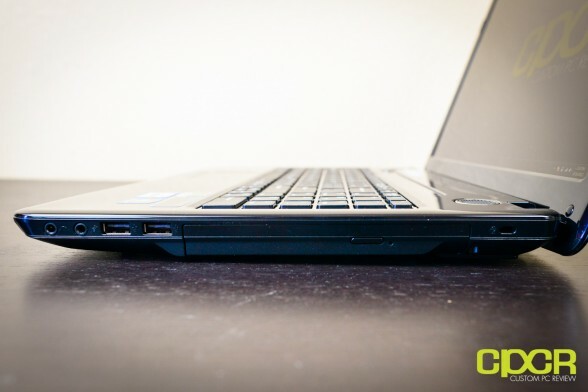 The plain glossy black design is very professional looking and those looking to use the laptop for both work and play will find that the Xplorer X6-9120’s design a great choice for the purpose. That said, I’m not a huge fan of the glossy finish. Even with the short amount of time I’ve had to test it, the laptop is full of smudges and fingerprints, which is not ideal for those who like their stuff squeaky clean. Screen performance was top notch here and there was honestly very little to complain about. The screen was able to produce some excellent color and I personally prefer matte screen as it doesn’t reflect light in bright rooms/surroundings. Horizontal viewing angles were superb as well, but the LCD doesn’t do so well with vertical viewing angles so be aware of that. The keyboard is about as good as they get. The full sized US layout with the long enter, long shift keys, and long backspace makes the laptop excellent for typing. Throughout testing I didn’t notice much flex in the keyboard either, which is a problem with a lot of laptop keyboards out there. 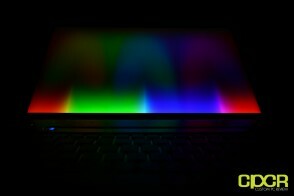 I would definitely like to see some backlit keys so the laptop may be more easily used in the dark, but it’s not a huge deal. The touchpad was acceptable, but it wasn’t special by any means. The touchpad is coated with the same glossy finish as the rest of the laptop so the texture wasn’t all that great and in terms of size, it’s quite small as well. It does get the job done, but it definitely isn’t ideal. The included speakers aren’t too special either. 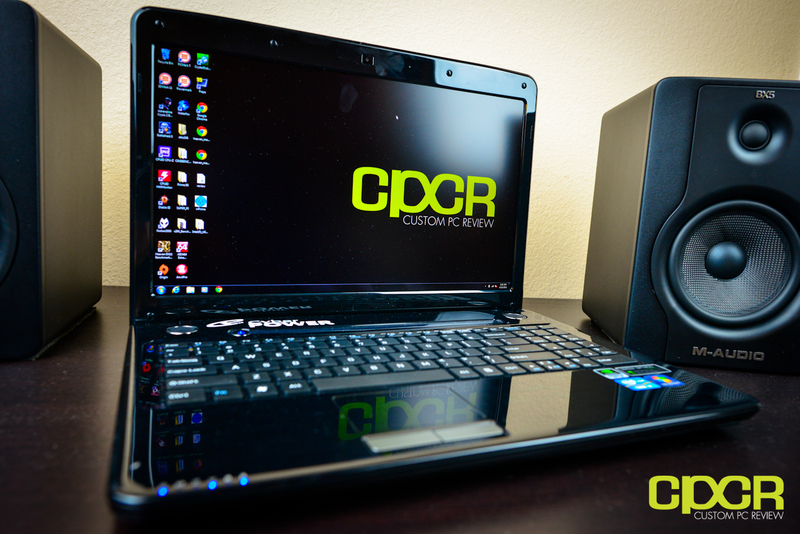 I’ve heard better from laptop speakers, but to be honest, even the best laptop speakers pale in comparison even to a mediocre set of headphones or dedicated speakers. 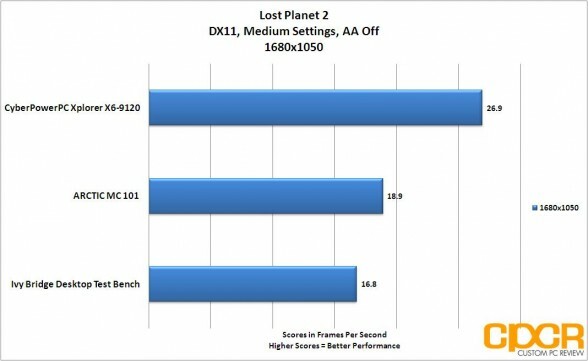 Even prior to all the testing, one thing I was extremely impressed with was the price point at which CyberPowerPC was offering the Xplorer X6-9120 for. At $867.00 before taxes for the configuration reviewed today, you’re getting some serious price to performance. At this price point, you’ll seldom find any manufacturer out there offering a system with 8GB of memory, a mobile i7, discrete graphics, and a SSD. It simply doesn’t happen. Those willing to drop slightly over $1,000 on a laptop could easily configure in a top tier 240GB Intel 520 SSD for $1019, which is what I’d recommend. (Price as of 8/22/12) Comparable laptops include the ASUS N56VZ-ES71, Acer Aspire V3-571G-9435, Samsung McLaren NP550P5C-T01, HP Pavilion dv6t-7000, and the Dell Inspiron 15R . Whereas some competitors will offer the i7 3610QM, the 8GB of memory, or even superior graphics, strangely none will offer the SSD (For under $1,000) which I think is integral for a new laptop these days. Gamers who predominantly play less graphically intense games such as Starcraft, Diablo III, etc. or gamers who don’t mind turning the settings down a couple notches for more graphically intensive games will find that the CyberPowerPC Xplorer X6-9120 is an excellent choice for a gaming notebook under the $1,000 price point. 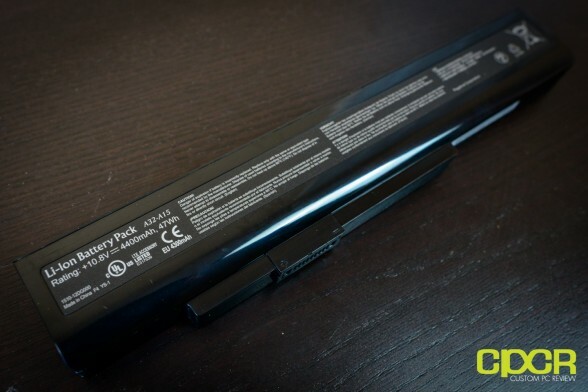 Those looking to use the X6-9120 for business will find that the 3 hour battery life should be more than enough in most situations and the professional glossy black design is excellent for blending in. Additionally, the full sized, standard US keyboard layout is about as good as it gets for typing. 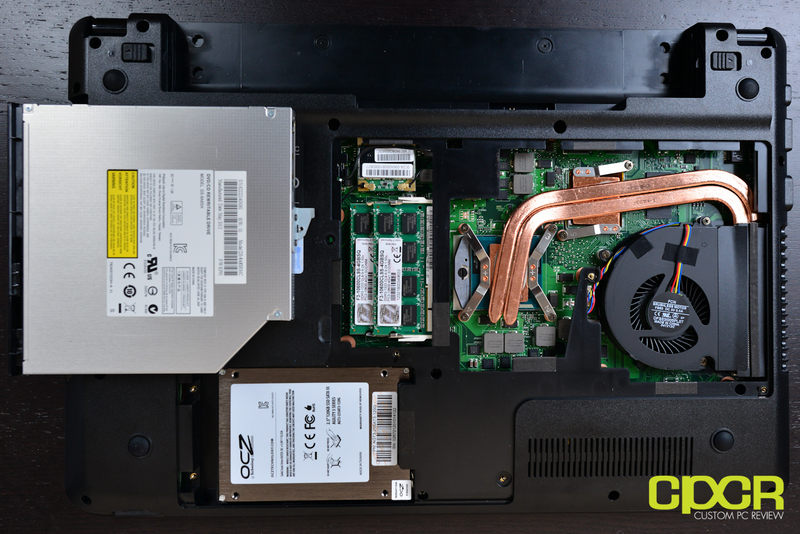 For those looking for a budget workstation laptop, I think the X6-9120 is actually best suited for this purpose. The Intel Core i7 3610QM is a blazing fast processor that will do an excellent job crunching through multi-threaded tasks such as video encoding, photo editing, and 3D rendering. Those who know they’ll be needing additional memory can configure the laptop to come with 16GB memory and for not much more of a premium either. Despite the GeForce GT 640M being on the weaker side in terms of gaming graphics performance, it still has 2GB of video memory and will be an excellent workhorse GPU for any applications that can utilize the 384 onboard CUDA cores. CyberPowerPC has done an amazing job with the CyberPowerPC’s Xplorer X6-9120 including tons of top notch hardware for under the $1,000 price point. Recommended! 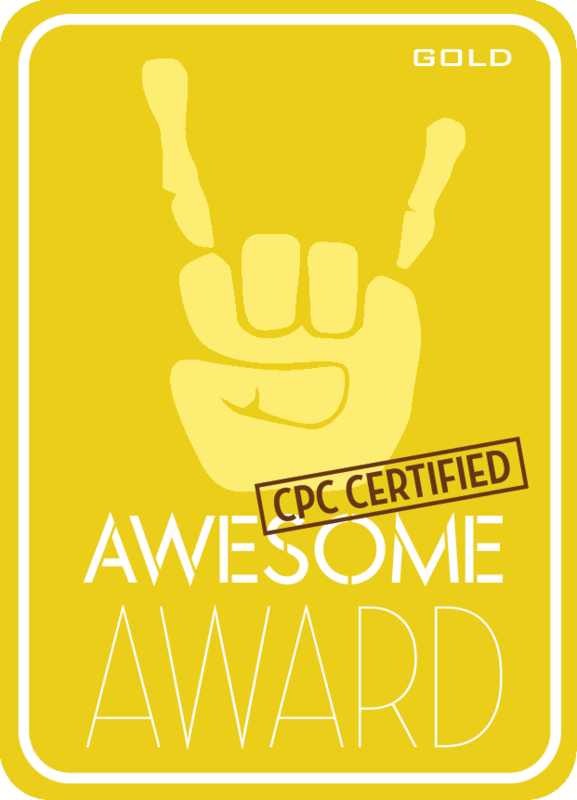 Special thanks to CyberPowerPC for making this review possible. 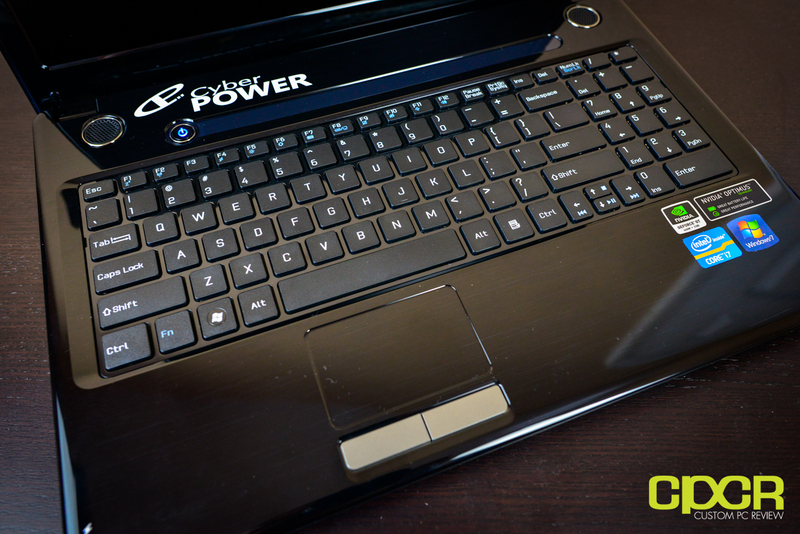 The CyberPowerPC Xplorer X6-9120 is currently available direct through CyberPowerPC. just bought one with the 240 intel. upgrade and a set of headphones. guess i made a good choice! 958 all said and done. Ended up getting this one on Cyber Monday. Was able to upgrade to 16GB-1600 Corsair DDR3, 256GB OCZ Agility 4 SSD, Carry Bag + Extra USB Wifi Stick (whatever). All set and done for $816. Only wish it had the option of adding Blu-ray. Appreciate the review – looks like I need to invest in a USB 3.0 External for storage, and perhaps even a blu-ray player.